Were the Cowboys robbed? Or has the Count from Sesame Street not really been doing his job for the last 44 years? Plus Easts-Manly semi reaction as we record Episode 139 live from ANZ Stadium during and after Dogs v Knights - with Mitch, Tim and Waz! 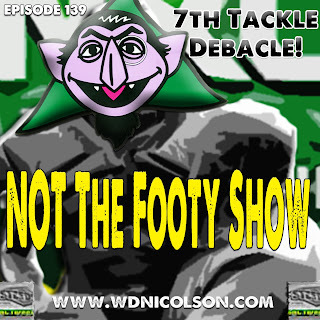 Mitch Stone and Tim Piggott join Warrick Nicolson to discuss more refereeing controversy out of Cronulla's win over North Queensland... how the Video Referee remains a bigger problem that simply counting tackles, How good really was the Roosters 4 Manly 0 result? 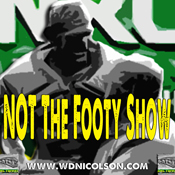 And the boys do this all from the bowels of ANZ Stadium - talking NYC dud calls and a quick dissection of Newcastle's victory over the Bulldogs right on fulltime as the Knights' fans celebrate!